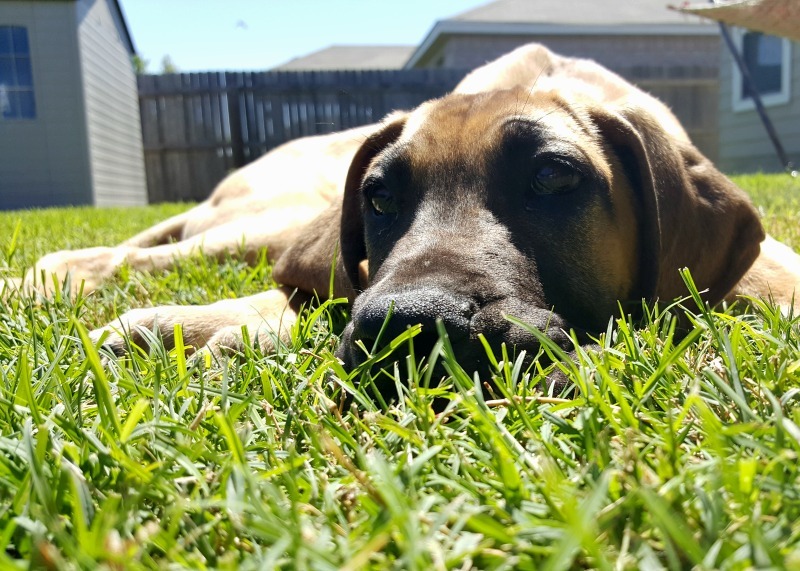 Hope Whispers: Foster Dog Diaries: Duncan the Dane Puppy. 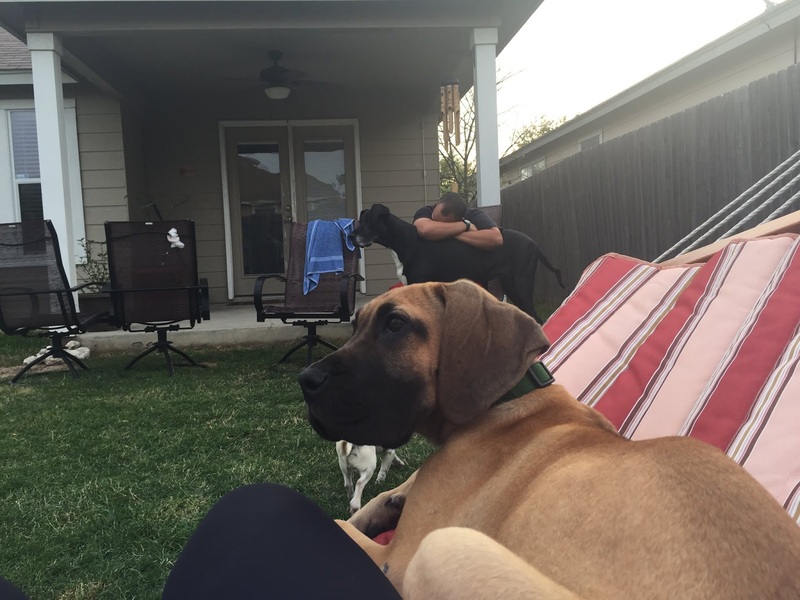 Foster Dog Diaries: Duncan the Dane Puppy. It has been 3 years since we had a puppy in the house. Then one day, I'm having lunch with my girls and the next day I have a puppy. I'm a sucker. Turns out if you buy me lunch, I will take a puppy. Actually, I am going to have to pin this one on David. He always says there is an 18 month age minimum for fosters, but then I showed him a picture of a poor little puppy and he folded. We have been in love since. And even though we weren't sure we were ready and he was not as old as our usual fosters, he has been a dream dog. Sure the first night was rough. It was his first night away from him Mom and it was storming something fierce out. I spent the night on the couch with my hand on the kennel. But that was it. Kennel training has come easy for him. That is something we work hard on with all our fosters. I know not all of them will continue to be kenneled, but I think it is important that they are able to be kenneled it if need be. Duncan loves to be outside. I'm going to guess they were not inside dogs because he can settle down for a nap in the middle of the yard a lot quicker than he can inside. My boys like to go out, do what they have to do and then are right back inside. He loves to lay out or chase bugs. And he loves my hammock. If someone is in it, so is he. I can't even count how many times David has said " Hes such a good boy, but the timing is not right." After Walter and then Morris, I had to tell myself that this one was going to be an in and out. 3 weeks later and we are starting his process out of here. Vaccines are coming, then a trip to the vet for a little snip and believe it or not he actually has an adopter lined up already. But first things first. Its lunchtime. Growing boys need to eat. A LOT. He eats more than Poncho and Chico combined. And it shows. Every morning when I wake up, it looks like he has grown an inch or two. At 17 weeks old he has outgrown a medium kennel. I had to break out the big one. Yikes! It will be hard to say goodbye to this guy, but staying in touch with my adopters makes it all so much easier. I have dog sat for some and others have come out to visit me. And some updates just come in random emails that make my heart so happy. I love doing this. Knowing I had a part in their lives, even if just for a little while, makes it all worth it. If you are in the San Antonio area and are interested in adopting, fostering or if you could volunteer some of your time on the weekends, let me know! It is all needed. And I will be more than glad to point you in the right direction. 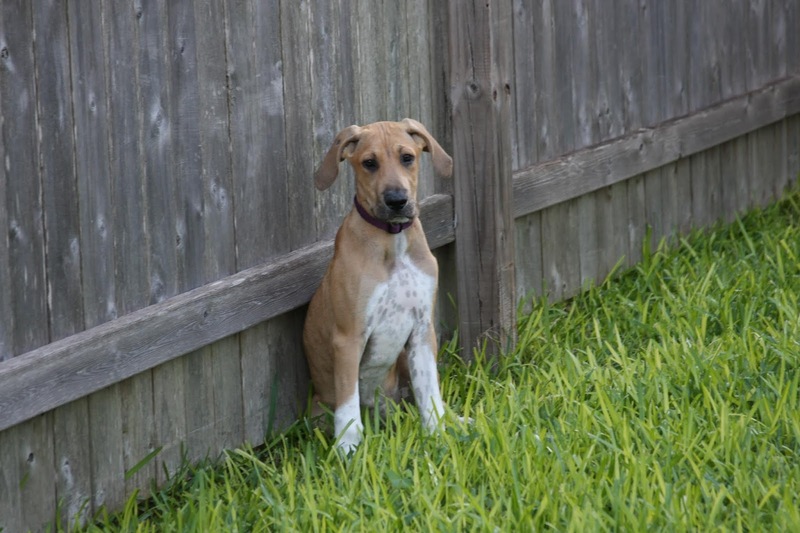 Or check out San Antonio Great Dane Rescue and take a look at the available dogs. You just might find your new best friend!